Writing a book is a big undertaking. You have to think about what you will actually write, the content, its organization, the examples you want to show, illustrations, etc. When publishing with the help of a regular editor, your job stops there at writing – and that's already a big and hard enough task. Your editor will handle the publishing process, leaving you free of the printing task. Though they might have their own set of requirements, such as making you work with a word processing tool (think LibreOffice Writer or Microsoft Word). 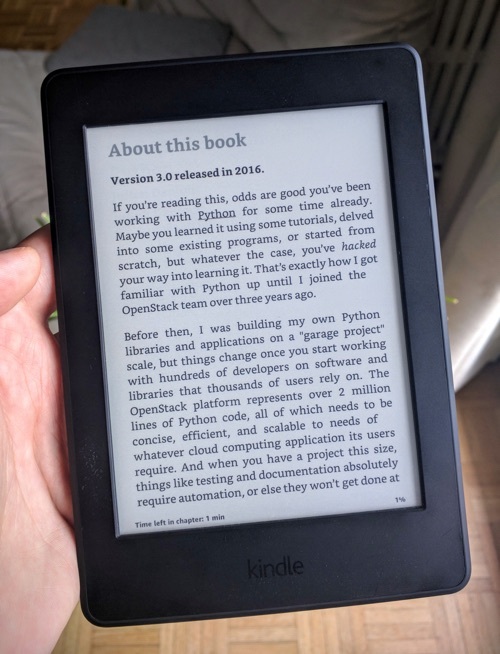 When you self-publish like I did with The Hacker's Guide to Python, none of that happens. You have to deal yourself with getting your work out there, released and available in a viable format for your readership. Most of the time, you need to render your book in different formats. You will have to make sure it works correctly on different devices and that the formatting and content disposition is correct. I knew exactly what I wanted exactly when writing my book. I wanted to have the book published in at least PDF (for computer reading) and ePub (for e-readers). I also knew, as an Emacs user, that I did not want to spend hours writing a book in LibreOffice. It's not for me. When I wrote about the making of The Hacker's Guide to Python, I briefly mentioned which tools I used to build the book and that I picked AsciiDoc as the input format. It makes it easy to write your book inside your favorite text editor, and AsciiDoc has plenty of output format. Customizing these formats to my liking and requirements was another challenge. It took me hours and hours of work to have all the nitty-gritty details right. Today I am happy to announce that I can save you a few hours of work if you also want to publish a book. I've published a new project on my GitHub called asciidoc-book-toolchain. It is the actual toolchain that I use to build The Hacker's Guide to Python. 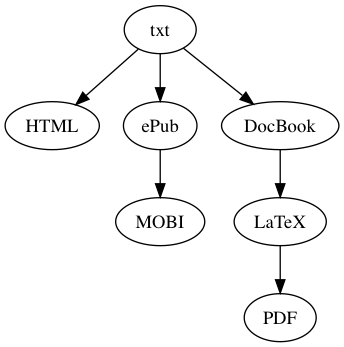 It should be easy to use and is able to render any book in HTML, PDF, PDF (printable 6"×9" format), ePub and MOBI. So feel free to use it, hack it, pull-request it, or whatever. You don't have any good excuse to not write a book now! 😇 And if you want to self-publish a book and need some help getting started, let me know, I would be glad giving you a few hints!